Business Strategy ConsultingBusiness strategy and management consulting services. Video Game ConsultingBest-in-class business strategy, consumer insights and market research. Market ResearchTop analysts on-call to provide market research, sales forecasting and trend analysis. IT ConsultingDesign and implement scalable global IT solutions. Marketing and PRCustom tailored advertising, marketing and business solutions. Creative ServicesEditorial services by top technology, business and social media experts. ClientsFrom consumer electronics, app and software makers to top retailers, meet our partners. TestimonialsAccolades and recommendations from top industry leaders. BooksDefinitive guides to business and technology for modern professionals and parents. VideosVideo production and hosting for online, print, TV and Internet or Web film clips. 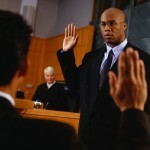 TechSavvy provides experienced computer, software, IT, online, technology and video game expert witness testimony. Leading industry experts and veteran expert witnesses are available to assist with legal matters of any scope, and consult on matters from product design and development to marketing, pricing, intellectual property (IP) issues and distribution. © 2012 TECHSAVVY GLOBAL, LLC. ALL OTHER TRADEMARKS AND TRADE NAMES ARE THE PROPERTY OF THEIR RESPECTIVE OWNERS.